The Friends of the Governor Stone are pleased to announce a new schedule for the FOGS members and interested public to sail on this National Historical Landmark vessel each month. Second Saturday Sails will begin Saturday, January 10th at 10:00 am leaving from the Farmer’s Market in St. Andrews. 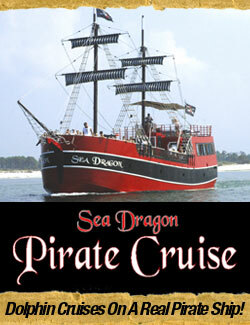 Second Saturday Sails are also scheduled for February 14 and March 14. Friends of the Governor Stone members can register any time by email and have a Friday noon deadline. The public will be invited at the Farmer’s Market to fill all remaining seats. The sailing adventure will be 1-2 hours, depending on the weather and will leave the dock promptly at 10:00 am. Please arrive by 9:30 am and dress for the weather conditions. As always the Captain has the authority to cancel the sail if he feels weather conditions are unfavorable for a safe and enjoyable sail. The Governor Stone is the last known working shallow draft gulf coast schooner. The mission of the Friends of the Governor Stone is to highlight and share the history of waterfront communities by sailing and exhibiting the 1877 Schooner Governor Stone along the Northern Gulf Coast. The Governor Stone’s homeport is St. Andrews Marina. Please visit our web page, GOVERNOR STONE.ORG, look us up on FACEBOOK at GOVERNOR STONE or email us at info@governorstone.org. Friends of the Governor Stone Inc. is a non-profit 501c3 organization and we encourage your support of the Governor Stone by becoming a member of FOGS and through your generous donations to keep this living museum alive and sailing for future generations to enjoy.